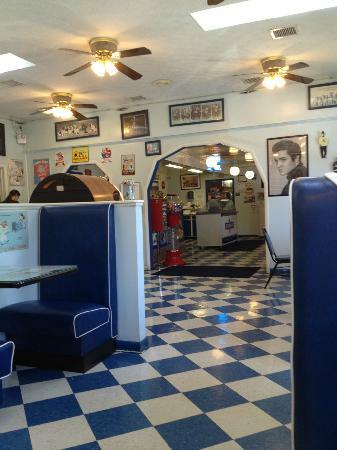 50’s style restaurant, with a working jukebox in the center of the dining area. Serving a variety of burgers and hot & cold sandwiches , along with a great selection dinner plates. Of course it wouldn’t be a 50’s style restaurant without freshly made malts and shakes. We had breakfast, great service, great food!